I made it back from my Alt Summit getaway. 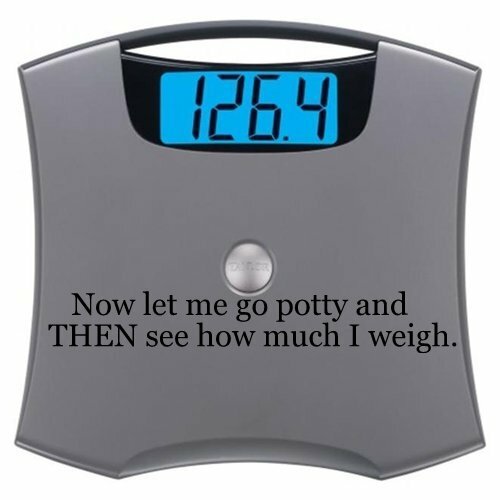 And sadder than the conclusion of the conference was the conclusion of my bout of weighing myself 12 times a day. We don't do the whole scale thing in our house. OK scratch that. We do, but it gives a totally rigged reading. We don't do a legit, honest scale in our house. And there's something about going to a hotel stocked with a digital scale, and like a negative to a positive, I'm immediately magnetized to it. Must weigh myself first thing in the morning. And then before I go to the bathroom. And then after I go to the bathroom. And then before I go to bed. Because this curious mind must know how much weight I lose while sleeping. How many ounces am I actually peeing. This is all important stuff. And the only place the experiment can take place these days....is at a fancy pants hotel. And the conclusion: I still weigh more at night than in the morning. I do shed a couple pounds ounces every time I go to the bathroom. Don't deny it- I just know you've done the digital doo-da also! And speaking of fancy pants hotels, I learned something new about myself: I am no longer a revolving-door kind of girl. Can you believe it? I up and got rid of childhood itself. I now prefer the much more direct entrance/exit of simply opening a door. I also went ahead and sold all my Care Bears upon discovering this loss of innocence. Truth has spoken: I'm getting old. But it's arguable that I am still very young because you don't see grandmas walking around with reflector vests on and having the nerve to call it a shirt. Huh uh. That's youth, y'all. 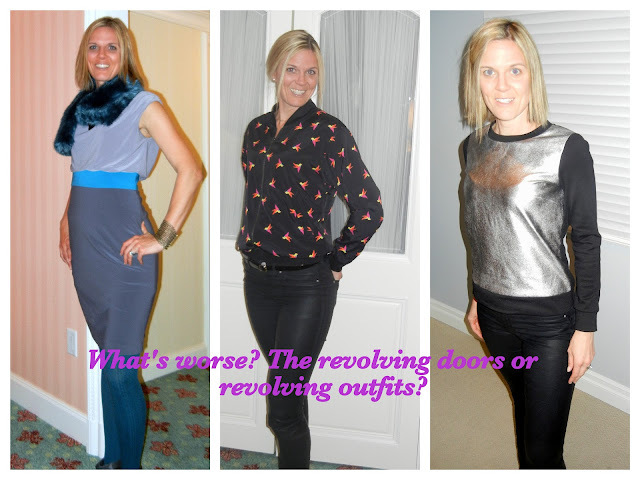 And not to mention, I kept up with the astounding pace of changing outfits twice a day. As spoken....that's youth. And I'll have you all know that my presence at Ms. Alt Summit itself was a complete success. Thanks or no thanks to the space suit. And let me tell you how I know that. We were advised to hand out business cards- yes, go ahead and digest that for a minute, I now have a business card! Did you see how I got all tricky and blacked out my phone number? You want to know what's wild about that? How about the fact that I give this card- no black outs included- to complete strangers, by the hundreds, but am all shady about putting in on the blog for my awesome, loyal readers. That's messed up, huh? But I know about you all....you loooooove sending 2 am prank texts and I'm just not down with that. 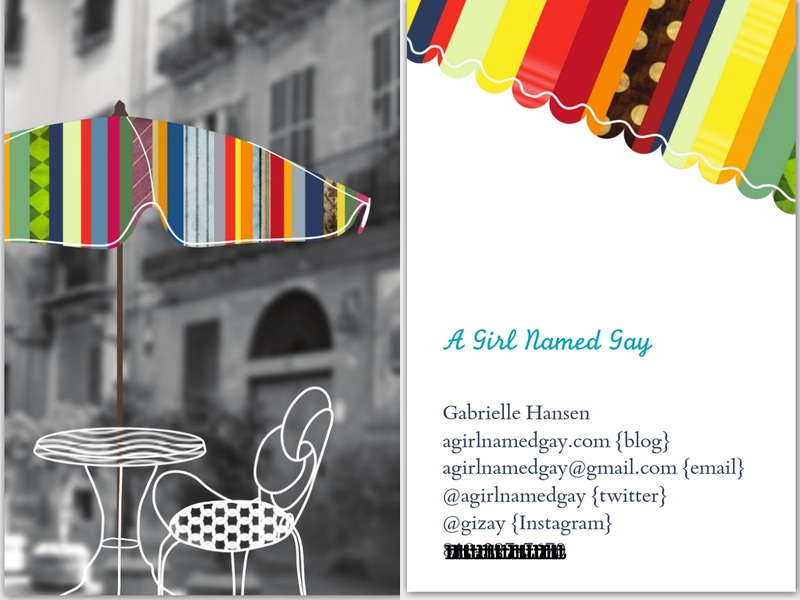 Anyway, back to my success story- we were advised to hand these business cards out like shameless call girls. And I'll have you know, it paid off. I got a call. Albeit only 'a' call! Southwest called letting me know they'd found my business cards. Left in the airplane. Without an owner. Thank goodness they had my number on it. Desperate people measure success in desperate ways. And if you're really dying for my phone number, call Southwest- I'm sure they'll hook you up. Hahaha, the scale story is too funny, it's all true! And I like your business cards. I have been thinking to do the same, minus the phone number ;) Love your blog! Yay so glad u found my blog! Yes-- do a business card. It makes us legit…if only in our own heads!!! All I see when I look at that business card is Cafe Vida, and I'm salivating. Amen sista. When are we going? I'm digging the card. So glad you had a great time! thanks, jenn! it was fun!